Linda Moore Hoover, age 73, went to her heavenly home on Tuesday, October 16, 2018. Linda passed away at home surrounded by her family. Linda fought a courageous battle against ovarian cancer for four years and, until recent physical setbacks, she lived a full and active life. At the age of thirteen, Linda met Brad and over 53 years of marriage they created an amazing life. Together they raised three children - Joe Hoover (Michelle) , Mindy Muller (Steve) and Shelley Fox (Matt) and enjoyed their eleven grandchildren, Kimberley Weisenberger, Kyle Muller, Ryan Finnerty, Kailyn Fox, Tyler Muller, Adison Ebbing, Rachael Finnerty, Wes Fox, Lorin Fox, Drew Muller and Nora Fox. 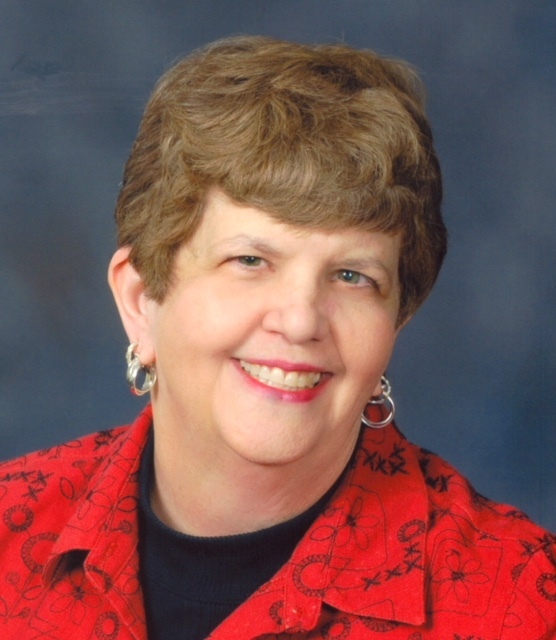 Linda graduated from Miami University and retired after 30 years of teaching from the Hamilton City Schools where she enjoyed her time teaching students in first, second and third grades. She especially loved her time at Madison Elementary and had fond memories of the students, teachers and families that shared those times with her. Linda enjoyed music and was active singing in church choirs at First Baptist and Redeemer Church. She also enjoyed singing with Brad in community ensembles and choirs that enabled them to enjoy travels abroad. She was the biggest cheerleader for her family and enjoyed the many concerts and performances she attended for her husband, children and grandchildren. Linda enjoyed annual beach trips with family and nights of games with family and friends. She enjoyed watching the grandchildren play baseball and enjoyed summer nights with Brad and family watching the Hamilton Joes. She was truly a servant and was always caring for others. She was an active part of the board of Serve City and spent Tuesdays volunteering in the thrift store and food pantry. Linda also led planning for their Christmas in July fundraiser each year. Linda was active in her church as a deacon, participated in a women’s weekly Bible study and led a biweekly Bible study in her home. She was passionate about bringing people into relationship with Jesus and sharing the love of God with those in her life. Her example of faith before and during the cancer battle was a wonderful example to all who knew her. Her regular email updates of her cancer journey were largely encouraging for others. She was passionate about sharing with those she loved the difference her relationship with Jesus had made in her life. She will be greatly missed by her many friends and family. Linda was preceded in death by her parents, Chester and Ruby Buckner and her birth father, Carter Moore. She leaves behind her husband of 53 years, Brad Hoover, three children, Joe (Michelle) Hoover, Mindy (Steve) Muller, and Shelley (Matt) Fox, eleven grandchildren, her brother, Boyd (Leslie) Moore, beloved nieces and nephews, and a host of family and friends. Visitation for family and friends will be held on Saturday, October 20 from 11am – 1pm at Avance Funeral Home, 4976 Winton Rd, Fairfield, OH 45014. A memorial service will follow at 1pm with the Rev. Jeremy Spence officiating. The family wishes to thank the tremendous oncology staff of TriHealth for their care and support. In lieu of flowers, the family requests that memorial gifts be made to Serve City, 622 East Avenue, Hamilton OH 45011.